When talking about the coastal areas south of Puerto Vallarta, one must also talk about the future – a very bright and promising future, for the state of Jalisco. For those who are regular visitors and those who own in and around Puerto Vallarta, change has been evident and will continue at a pace perhaps not seen before. For the Mexican state of Jalisco, the south coast is the future. Since my first visit to the Mayto, Tehuamixtle areas, south of Puerto Vallarta over seven years ago, much has happened. At that time, there were so many stories about things to come and a sense of promise for the local communities. Everything seemed to be lined with money, and then media misinformation, financial downturn, and what seemed like a conspiracy against Mexico, brought things to a halt. That is all history now, and it is a new day not only for the south coast of Jalisco, but all of Mexico. 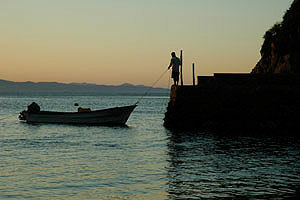 My definition of the south coast is the area of Cabo Corrientes from Corrales south and beyond the bay of Chamela. This is the Costalegre. An area of endless beaches, and pristine, yet to be discovered places. I seem always to be talking about discovering, exploring, and the future, however it is the future that we are most interested in. At least the new generation of traveler and tourist is. And, the wise and seasoned – which need no introduction to Mexico, would be smart to pay attention as well. All of this ties very closely to the role Mexico is starting to play out on the world stage. So much global attention is now being paid to the Mexican economy and it’s leading role in many sectors. Mexico is poised to become a country to watch as it continues this growth pattern. The tourist sector will be a big part and the state of Jalisco is key on the Pacific Coast. It would be safe to say that infrastructure projects will proceed at a faster pace than they have recently. Water reservoirs, road surfacing, and a new airport among projects already started. And, communication infrastructure should finally get a priority in the areas lacking service, as demand increases and a customer base grows. 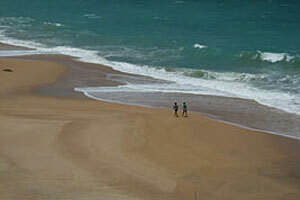 It is a good time to set your sites on the south of Vallarta. I have been asked frequently, more than I care for, “why are you investing in Mexico”. I suspect that it will become apparent to many in the near future. Besides the agreeable climate, abundant sunshine, beautiful pristine beaches, amazing scenery and the friendly people – it makes financial sense to me.